About 150 Muslim workers at a meat processing plant have been fired for refusing to show up for work during an ongoing dispute over prayer accommodations. The controversy began on December 18, when 11 Somali Muslim workers at the Cargill Meat Solutions plant in Fort Morgan, Colorado requested to visit the building’s prayer room at the same time. Administrators asked the workers to go in smaller groups to keep production flowing, expressing concerns over work stoppages. But while the workers initially complied, 10 resigned at the end of the day, citing disapproval with the policy. As news of the incident spread, roughly 200 workers — most of whom are Muslim and all of whom are represented by the Teamsters Union — staged a walkout in solidarity with the Muslim workers, many staying home from work for three days. Cargill representatives claim they initially attempted to resolve the issue, but eventually fired workers who didn’t return to the production line. Cargill insists the issue centers around a “misunderstanding,” and that they need to limit the number of people who can pray at one time because the beef processing plant has to meet USDA regulations. But the Council on American-Islamic Relations (CAIR), a Muslim civil rights group which is representing around 100 of the workers who lost their jobs, told reporters that while the prayer policy may have been accommodating in theory, it was far more rigid in practice. “The workers were told: ‘If you want to pray, go home,’” CAIR spokesman Jaylani Hussein told the Denver Post. Reports of the exact number of workers fired vary, ranging from 150 to 190. But all of those let go will face steep hurdles if they want their jobs back: Cargill policy requires fired workers to wait six months before reapplying for their jobs. CAIR is reportedly in talks with Cargill to get the six-month stay waived, so employees can return to their jobs on the plant’s fabrication floor. CAIR noted in a press release that a similar issue of religious accommodation for Muslims occurred at Swift meat processing plant in nearby Greeley, Colorado in 2008. That incident focused on prayer policies for the Islamic holiday of Ramadan, and resulted in the firing of 100 Muslim workers when hundreds staged a walkout. However, that dispute was “successfully resolved,” according to CAIR. The Cargill plant still employs around 400 Somalis, many of whom are Muslim, and 2,000 workers overall. Jack Jenkins is the Senior Religion Reporter for ThinkProgress. He was previously the Senior Writer and Researcher for the Faith and Progressive Policy Initiative at the Center for American Progress, and worked as a reporter and blogger for the Religion News Service. His stories and analysis have appeared in the Washington Post, Huffington Post, Real Clear Politics, National Catholic Reporter, and Christian Century, among other publications. Jack got his bachelor’s in history and religion/philosophy from Presbyterian College and holds a Master’s of Divinity from Harvard University. He also plays harmonica and ukulele. 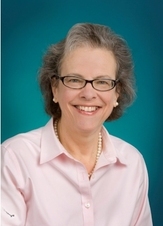 Caroline Mala Corbin (University of Miami School of Law) has recently posted two papers on SSRN discussing her thoughts on corporate religious liberties. The first apears in the American Constitution Society Issue Brieff for January 2014 and is entitled: Corporate Religious Liberty: Why Corporations Are Not Entitled to Religious Exemptions. The second (longer) piece is entitled: Corporate Religious Liberty. Do for-profit corporations have a right to religious liberty? This question is front and center in two cases before the Supreme Court challenging the Affordable Care Act’s “contraception mandate.” Whether for-profit corporations are entitled to religious exemptions is a question of first impression. Most scholars writing on this issue argue that for-profit corporations do have the right to religious liberty, especially after the Supreme Court recognized that for-profit corporations have the right to free speech in Citizens United. This essay argues that for-profit corporations should not – and do not – have religious liberty rights. First, there is no principled basis for granting religious liberty exemptions to for-profit corporations. For-profit corporations do not possess the inherently human characteristics that justify religious exemptions for individuals. For-profit corporations also lack the unique qualities that justify exemptions for churches. Citizens United fails to provide a justification as its protection for corporate speech is based on the rights of audiences and not the rights of corporate speakers. Second, as a matter of current law, neither the Free Exercise Clause nor the Religious Freedom Restoration Act recognizes the religious rights of for-profit corporations. Finally, corporate religious liberty risks trampling on the employment rights and religious liberty of individual employees. Two very interesting reads on a hot current legal topic that could have a large impact on the workplace. Check them out! This article was originally printed on Workplace Prof Blog on January 28, 2014. Reprinted with permission. Personally, I love Halloween. Adore it. I have zombies in my courtyard to scare the kiddies, and a graveyard in front of the house with various and sundry body parts poking out. Yes, Halloween is great fun for those who celebrate it. However, there are some religions that ban celebrating Halloween altogether, and some people who have sincerely held beliefs against it. Halloween is now a pretty secular holiday, but its origins are in the Catholic religion. The Catholic holiday, All Hallow’s Eve, is the night before All Saint’s Day. I’m not an expert, but I believe the idea was that souls were liberated from Purgatory on that day, so celebrants would pray for the souls of the dead and hold a vigil during the night. The tradition of going door to door came from the UK, when beggars would ask for a “soul cake” in exchange for offering a prayer for the soul of the dead of the household. Earlier Pagans also had a fall holiday featuring bonfires and feasts, called Samhain, that probably influenced the Catholic celebrations, particularly in the UK. Jehovah’s Witnesses: They don’t celebrate any holidays or even birthdays. Some Christians: Some believe the holiday is associated with Satanism or Paganism, so are against celebrating it. Orthodox Jews: They don’t celebrate Halloween due to its origins as a Christian holiday. Other Jews may or may not celebrate. Muslims: Many Muslims don’t celebrate Halloween, again due to its origins in other religions. So, I wanted to issue this reminder to all workplaces celebrating Halloween: don’t force anyone to celebrate, decorate, or dress for Halloween. Don’t harass them if they don’t want to participate. If someone has a sincerely-held belief, then it’s likely protected by Title VII’s prohibition against religious discrimination. It doesn’t matter if you agree with them, think they’re mistaken, or even think their beliefs are stupid. What matters is respect for the beliefs of the person holding them. HR folks might want to give themselves a refresher on religious discrimination and harassment before the company’s Halloween celebration, so they can be ready when things go awry. This article was originally printed on Screw You Guys, I’m Going Home on October 25, 2013. Reprinted with permission. 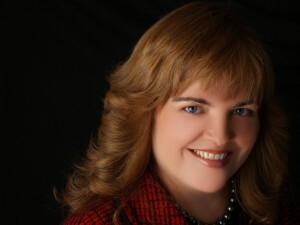 About the Author: Donna Ballman‘s new book, Stand Up For Yourself Without Getting Fired: Resolve Workplace Crises Before You Quit, Get Axed or Sue the Bastards, was recently named the Winner of the Law Category of the 2012 USA Best Books Awards and is currently available for purchase. She is the award-winning author of The Writer’s Guide to the Courtroom: Let’s Quill All the Lawyers, a book geared toward informing novelists and screenwriters about the ins and outs of the civil justice system. She’s been practicing employment law, including negotiating severance agreements and litigating discrimination, sexual harassment, noncompete agreements, and employment law issues in Florida since 1986. Her blog on employee-side employment law issues, Screw You Guys, I’m Going Home, was named one of the 2011 and 2012 ABA Blawg 100 best legal blogs and the 2011 Lexis/Nexis Top 25 Labor and Employment Law Blogs. She has written for AOL Jobs and The Huffington Post on employment law issues, and has been an invited guest blogger for Monster.com and Ask A Manager. She has over 6000 followers on Twitter as @EmployeeAtty. She has taught continuing legal education classes for lawyers and accountants through organizations such as the National Employment Lawyers Association, Sterling Education Services, Lorman Education Services, Alison Seminars, the Florida Association for Women Lawyers, and community organizations. Ms. Ballman has published articles on employment law topics such as severance, non-compete agreements, discrimination, sexual harassment, and avoiding litigation. She’s been interviewed by MSNBC, Forbes, the Wall Street Journal, Lifetime Television Network, the Daily Business Review, and many other media outlets on employment law issues. She was featured on the Forbes Channel’s “America’s Most Influential Women” program on the topic of severance negotiations and non-compete agreements. Hijab accommodation: Will Abercrombie's victory stand? Abercrombie & Fitch has won a huge victory in one of its Muslim hijab-accommodation cases — but will the decision stand? As you know, the Equal Employment Opportunity Commission has filed two lawsuits against Abercrombie in California — both of which have now settled — but there was another one in Oklahoma, and it may be the most interesting of them all. The EEOC won summary judgment against Abercrombie, but two judges on a three-judge panel of the U.S. Court of Appeals for the Tenth Circuit reversed, finding not only that the EEOC was not entitled to summary judgment against Abercrombie, but also that Abercrombie was entitled to summary judgment against the EEOC. Samantha Elauf, a Muslim, interviewed for a job at an Abercrombie store in Tulsa. She wore a black hijabto her interview. The interview, with a store assistant manager, went fairly well. Although religion and the hijab were never discussed, the assistant manager assumed that Ms. Elauf was Muslim and wore ahijab for religious reasons. The assistant manager rated Ms. Elauf eligible for hire. However, after the interview, the assistant manager sought some guidance about the hijab and the Look policy, and eventually consulted with her district manager. According to the assistant manager, they discussed the fact that Ms. Elauf was, in all likelihood, Muslim. The district manager instructed the assistant store manager to lower Ms. Elauf’s job interview scores so that she would not be hired. They never contacted her first to determine whether a religious accommodation was needed or possible. I can see how someone would find that the EEOC was entitled to summary judgment on these facts, can’t you? Well, Abercrombie appealed, and the decision came down this week. The EEOC lost big, and the court said that it was because Ms. Elauf had not informed Abercrombie of her need for a religious accommodation. *Generally, the obligation for an employer to provide religious accommodations does not kick in until the employee requests an accommodation. The belief or practice must be a requirement (as opposed to a nice thing to do), the requirement must be “religious” in nature (as opposed to “cultural,” or an ethical or political belief, or a matter of personal preference), and the religious requirement mustconflict with a workplace requirement — otherwise, no accommodation would be necessary. In most cases, none of these things is self-evident, even if the employer knows that the employee is an adherent of a particular faith. So far, I’m with the majority. This is an accurate statement of the law and also makes perfect sense. *It is generally unlawful for an employer to consider religion in making employment decisions(unless you’re interviewing for your next pastor, rabbi, or imam), and therefore it is generally unlawful for an employer to ask about an applicant’s religion in a job interview. Therefore, it’s not fair to penalize an employer for not affirmatively asking about religion or religious accommodation needs in the hiring process. *Therefore, an employee or applicant is not entitled to religious accommodation unless the employer has actual, particular knowledge of the employee’s or applicant’s accommodation need.This would usually require that the employee or applicant specifically tell the employer about the need. Here’s an example as to why: Let’s say an applicant wears a crucifix necklace to her job interview and has on her resume that she’s a member of Our Lady of Reasonable Accommodations Catholic Church. Would this be enough for the employer to know that she needed to take All Saint’s Day off every year? Probably not. First, the employer may not be Catholic and may not know anything about this kind of thing. Second, even though All Saint’s Day is a holy day of obligation, most Catholics work as usual, and go to Mass either the evening before, or at lunch time, or the evening of. Some even skip Mass. (Not that I’m condoning that!) So, even if the employer knew something about the Catholic faith (or was Catholic him- or herself), the employer would not know of the applicant’s particular need based only on the known fact that she was Catholic. The employer would have to know how this particular individual interpreted her religious obligations. I am still with the majority on the Tenth Circuit panel. Until I get to the facts of this Oklahoma case, and then I hit a wall. Here is my problem with this case. Ms. Elauf wore the hijab to her job interview. The hijab itself conflicted with a policy (the Look policy) of the employer. The assistant manager went over the Looks policy with Ms. Elauf but did not ask whether she had to wear the hijab as a requirement of her religion. In fact, the hijab was never discussed at all. I am still OK with this because the assistant manager considered Ms. Elauf eligible for hire. Why go there if you don’t have to? But then the assistant manager took it up with her boss, who apparently did not want a hijab-wearing employee in his store. At this point, don’t we have a “conflict” between the applicant’s presumed religious beliefs and the workplace requirement? A conflict of which the employer is, or should reasonably be, aware? So, at this point, doesn’t Abercrombie have the duty to call Ms. Elauf back and start talking about whether she needs to wear the hijab at all times, and if so, whether her need is a requirement that is religious in nature, and if so, whether accommodations are possible? Before unilaterally reducing her interview scores and rejecting her as an applicant? I think so. So did the EEOC. So did the lower court judge. So did the dissenting judge on the Tenth Circuit panel. Of course, this doesn’t mean I am right – only that I have company. I would be surprised if the EEOC didn’t petition for rehearing by the full Tenth Circuit, and they might even try to take the case to the Supreme Court. Of course, Abercrombie may just go ahead and settle this one now, too, while it has some leverage. This article was originally printed on Employment & Labor Insider on October 4, 2013. Reprinted with permission. 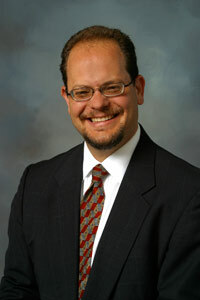 About the Author: Robin Shea is a partner at Constangy, Brooks & Smith, LLP. She has more than 20 years’ experience in employment litigation, including Title VII and the Age Discrimination in Employment Act, the Americans with Disabilities Act (including the Amendments Act), the Genetic Information Non-Discrimination Act, the Equal Pay Act, and the Family and Medical Leave Act; and class and collective actions under the Fair Labor Standards Act and state wage-hour laws; defense of audits by the Office of Federal Contract Compliance Programs; and labor relations. You are currently browsing the archives for the Religious Accomodations category.